You found a great pizza place, but you don’t know how to get there? Then quickly check the address with Google Maps. Click.to can find the fastest way, without any unnecessary detours. 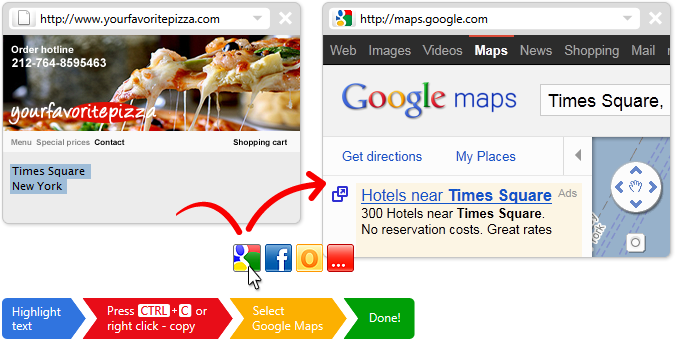 Simply highlight the address, Ctrl+C or right click -> copy, click.to Google Maps. It works with an e-mail signature, an address from a PDF or Word document, or straight from a website.